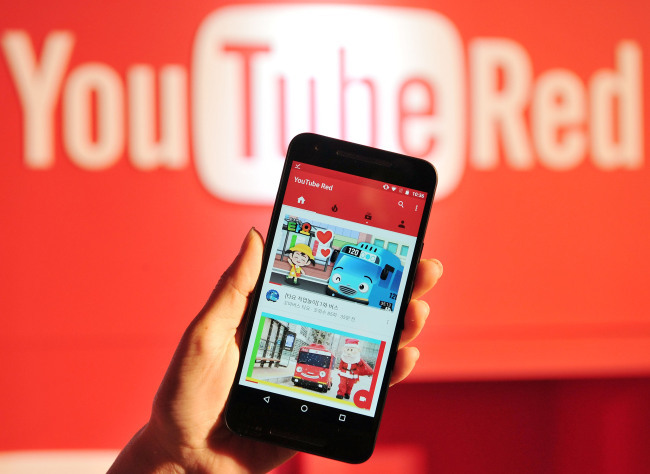 Google launched YouTube Red, a new ad-free subscription service for its flagship video-sharing platform YouTube, in South Korea on Tuesday, offering a range of exclusive viewing options for paying subscribers. Available at 7,900 won ($6.75) a month, YouTube Red lets users watch ad-free videos, save and access videos in offline settings and continue playing videos in the background while other apps are running or the screen is turned off on a mobile phone. Subscribers also gain access to new video content available exclusively through YouTube Red. Google Korea said it will unveil its first original YouTube Red video featuring K-pop boy group Big Bang next year. In addition to YouTube Red, Google also unveiled YouTube Music, a mobile app that functions like a standard music streaming service. Subscribers to YouTube Red can enjoy a more versatile version of the music app without ads. All YouTube Music users can search for artists and stream music videos via the new app. A personalized “music station” syncs with a user’s YouTube account to recommend songs based on music videos the user watched or liked in the past. Subscribers of YouTube Red can access extra functions such as the “audio mode,” which lets users listen to only music without streaming the video, minimizing network usage costs. Subscribers can also save songs can onto the app’s “offline station” as well. YouTube Red is currently available in just five markets -- the US, Australia, New Zealand, Mexico and now Korea. Google plans to bring the subscription service to new locations in the future, though the company is unable to announce its next destination market at this point. Google expects YouTube Red and YouTube Music to reap success among Korean users, as the services have enjoyed a positive reception from users in markets where it has already launched. “YouTube Red makes watching videos and listening to music on YouTube even better,” Smith said, noting that many subscribers have expressed satisfaction over being able to enjoy uninterrupted viewing sessions as well as watch offline videos while traveling. On top of widening options for regular users, YouTube Red also presents an additional way for content creators to generate revenue, the YouTube executive added. 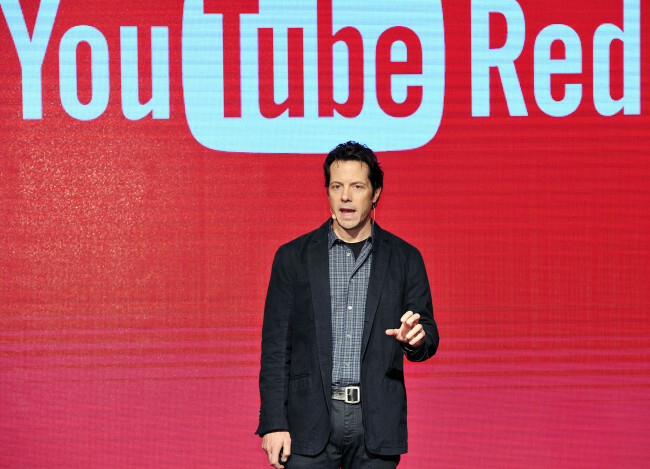 Creators can reap financial gains from the advertisements aired via the original YouTube service, while also taking away a portion of the monthly subscription fees paid by YouTube Red users, Smith said. Google Korea is currently offering a free one-month trial of YouTube Red. To access the new service, click “Subscribe to YouTube Red” under the accounts tab via the original YouTube app or website. The YouTube Music app is available for download on the Google Play app store. For more information, visit http://youtube.com/red or http://music.youtube.com.